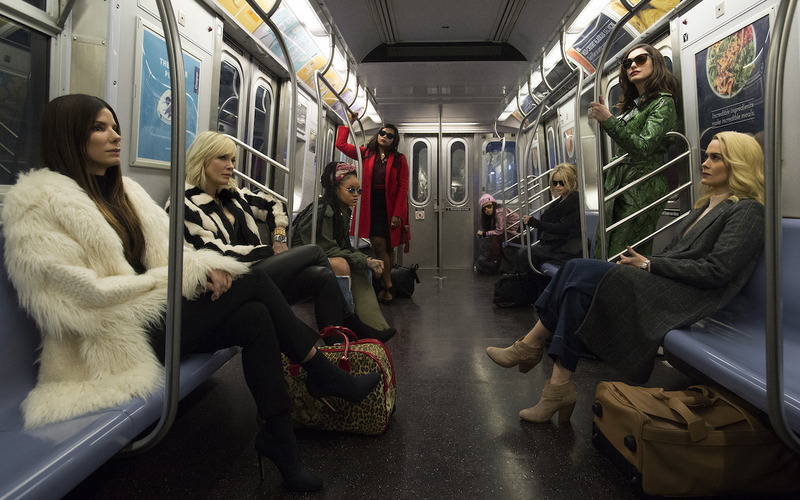 Every “con” has its pros as Warner Bros. Pictures released the first official trailer for their upcoming all-female Ocean’s 11 spin-off film Ocean’s 8. View trailer below. Hmmmm…..i don’t know about this. Yes, i do love the Ocean’s 11 trilogy (with 2001’s Ocean’s 11 being the best of trio) and i do love the cast of this new movie and the film itself looks like to be quite an interesting capper heist flick, but i do have reservations about this movie. For starters, its pretty much the same concept of the first film and how all the characters ensemble and pull off a heist. Yes, i do that heist movie are pretty much the same (i.e. not really breaking the established formula), but this movie just seems like the same old Ocean’s 11 with such an all female cast. This is same feeling that i had with when 2016’s Ghostbusters came out. Why was it made? To be honest, i would’ve rather seeing an Ocean’s 14 movie than Ocean’s 8. I mean….i would’ve rather seeing something new and creative from these talented females actresses than them trying to “copy” that what was already done by men. Women readers and followers….am i right? Still, the movie could surprise me and could be a hit, but, despite that hope, my expectations for this movie are not that much elevated, especially after seeing this trailer. Hmm, this really doesn’t appeal to me either. It just seems a bit like a pointless movie to me. The trailer also doesn’t make me excited for it either to be honest. I definitely agree. It reminds me of the Ghostbusters remake. They have a great cast, but it is a complete money grab. Even as a woman I am so not interested or impressed. They jumped on the woman band wagon. Im sure I probably just had my woman club card revoked but its the truth.